Work-related neck pain is one of the most common patient complaints. There are several distinct possibilities why a neck ache syndrome may be related to career or vocational activity. Rarely are all these possibilities truly considered, often resulting in an unhappy patient with chronic pain who has spent considerable sums of time and money on ineffective treatment. Work-related back and neck issues are complicated to discuss, since they often involve legal action in the form of civil litigation or worker’s compensation claims. For anyone who has been down either of these paths, you already surely know just how treacherous they can be. This patient guide provides information and support for people who suffer work-related symptoms. What is Work-Related Neck Pain? Work-related symptoms describe physical or emotional concerns which directly actually or perceptually come about due to involvement in a job, career, vocation or business. When an employee suffers work neck pain, the employer is often on the hook for compensatory damages. When the worker is protected under workman’s compensation laws, the public is often saddled with the burden of compensation. When the work-related pain affects a business owner or sole proprietor, the poor patient may be out of luck, since they might have no one to blame, and therefore sue, but themselves. Sure, we know what you are all thinking right from the beginning: injury. Sure, neck injury is a very real possibility of working virtually any job. Of course, it is more common in manual labor positions and high risk career paths, such as professional athletes, military vocations and a variety of blue collar positions. Workers can be injured from a specific event, may suffer repetitive strain injuries over time or may simply develop increased degeneration and structural changes due to weeks months or years on the job. All these circumstances qualify as injury. The next possible source of work-related symptoms includes conscious or subconscious emotional issues. 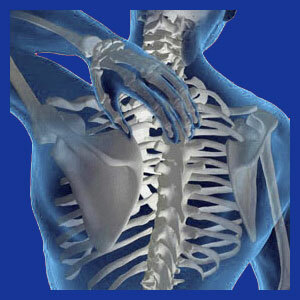 Stress neck pain is a very real condition which is often directly linked to the career path a person has pursued. Workers may have an endless variety of possible psychological causative concerns which may express themselves physically, particularly when they are actually at work. Work is rarely the high point of a person’s life and when neck pain is the result of their labor, the outlook on working gets progressively bleaker each day. I know how work can exacerbate neck pain, since I am here at my computer an insane number of hours each week. I did not know there were that many hours… All this sitting and standing in one place has definitely aggravated my pain. The emotional consequences of constantly working in the back pain sector have also worn on me. It is impossible for me to escape from pain, since I have it, read about it, write about it and live it 24/7. Our advice to all who are affected by work-related symptoms is to be fair and concentrate on your health, not the possibility of wealth via litigation. Of course, if you have been unjustly hurt, certainly pursue action, but let the lawyer handle the legal matters, while you concentrate on getting well. Failure to follow this advice has cost so many plaintiffs everything. Their pain endured long after the money was gone and the lawyer stopped returning their calls. This is not a fate you want to suffer. Remember also that the emotional considerations involved in any career can certainly cause or contribute to pain. Keep this in mind, regardless of the treatment path you choose to investigate.